REACHING OVER 1 MILLION YOUTH – True Star takes all its media platforms to market and has an audience of over 1 million youth across print, radio, and digital platforms. All the media produced in True Star programs is produced by youth actually learning from doing, making mistakes, and resolving those errors. True Star takes a hands-on approach to problem solving. Through this approach, students will develop key transferable skills, such as flexibility, creativity and communication, which can be employed across all academic subjects, and in future careers. True Star also takes all its media platforms to market and has an audience of over 1 million youth across print, radio, and digital platforms. 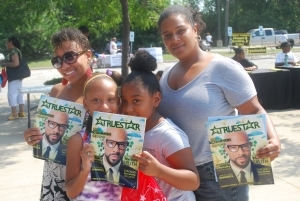 True Star Magazine is a free quarterly publication produced by youth through our programming model. True Star began as a four-page newsletter with a circulation of 1,000 and has grown to a 52-page glossy magazine with a circulation of 30,000. 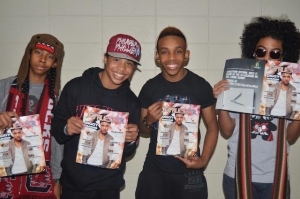 True Star Magazine has a controlled circulation and is distributed in 65 Chicago public high schools. 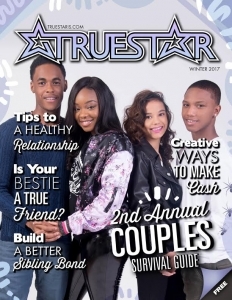 True Star Magazine is also distributed in select YMCAs, Boys & Girls Clubs, Chicago Park Districts, libraries, youth centers, barber shops, and beauty salons. Through our partnership with McDonald’s we are also distributed in 20 local franchises. True Star Jr. Magazine is produced through our elementary school programming model. Students create a digest size magazine three times a year through various elementary school programs. True Star Jr. has a circulation of 5,000 and the books are distributed at the schools whose students contribute to the production. True Star conducts programming with elementary schools that do not choose to contribute to True Star Jr., but choose to create a specific mini-mag for their school and community. 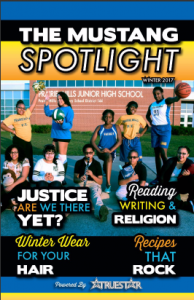 The students at these schools create the name and direction for these publications. In addition, True Star along with its youth staff has created program books for the SCREAM tour and the program book for the Chicago Elite Classic. 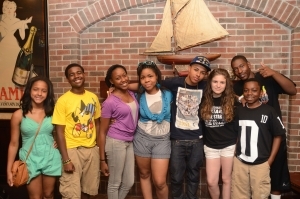 TrueStarIs.com is a youth news, music, fashion and urban culture blog/website. Entries are created and posted by youth. True star youth create video PSAs, short documentaries, vines, and video interviews that are housed on the YouTube channel www.youtube.com/TrueStarMediaTV and www.truestaris.com. True Star Radio is a youth produced radio program with a talk-music format. Youth discuss issues that are relevant to young people. Currently True Star Radio runs every Wednesday from 3pm – 5pm on Chicago State University (WCSU) and Saturday from 2pm – 4pm on Urban Broadcast Media (UBM) radio stations. STARs youth learn the value of grassroots and peer-to-peer marketing. The STARs team is trained on effectively marketing events and campaigns, geared toward teenagers, young adults, and their larger communities. The STARs are unique because they are deployed directly in their schools and communities. True Star currently has 45 STARs representing 35 high schools and colleges. 2017 © Copyright True Star Foundation.